How was this effect made? Some time ago I stumbled upon a Gucci video and one particular effect/ look grabbed my attention. 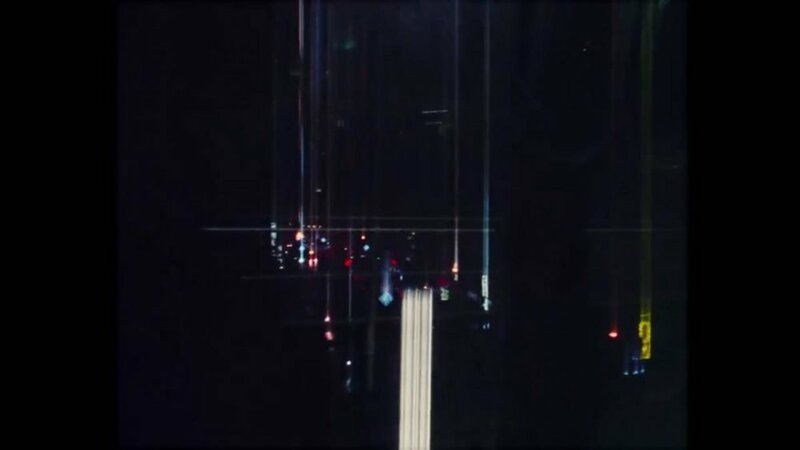 The video starts with a kind of "blurred" look. You can also see attached stills. To me, it looks like when film jams a little bit, but this doesn't look like a fault. Maybe something was done in a camera. At the same time, there's a part (second still or 1:44 - 1:46) where it looks more like a certain filter. Looks close to a star filter, but still doesn't look the same. Any ideas on how to achieve this? That’s a mistimed shutter on a film camera, an effect you see in “Saving Private Ryan”. The movement starts to advance to the next frame before the shutter has finished closing over the gate so a percentage of the exposure is streaked vertically. David; do you recall which film cameras can do this? If memory serves it's the 435 and is that it? I was looking into doing so on a few vidoes in the future. "I also used another technique that Doug Milsome [bSC] utilized on Full Metal Jacket [see AC Sept. 1987] where you throw the camera’s shutter out of sync to create a streaking effect from the top to the bottom of the frame. It’s a very interesting effect, but it’s also scary because there’s no way back [once you shoot with it]." "Kaminski employed Panavision Platinum and Panastar cameras throughout the Private Ryan shoot, and had Samuelson Film Services in London prepare one unit with a purposely mistimed shutter in order to create the described streaking effect. Used in combination with a narrow shutter, however, the effect was negated as the shortened shutter interval fell within the moment that the film was in its stationary position. Due to this anomaly, however, the "streaking" camera could also be used for normal shooting provided that the shutter was set between 45 and 90 degrees." "out of phase, I mean miss timing between shutter and movement, using on arri 435 or Panavision XL." Do I understand correctly that this something that has to be done by a technician, so it's more about servicing and not about the certain camera? Btw, most likely it's Arriflex 416 in the reference that I posted in the first message. Yes, a camera technician would have to purposely adjust the phase ( mis-time ) the shutter and pull down mechanism as this isn't normally desireable - and thus not accessible by the operator. Whether or not it's adjustable ( without stripping down ) on certain cameras I don't know. For some reason I thought; given the 435s electronic control, that you could do it on the fly on that camera (perhaps through an external control box) but I'm not so certain anymore. I'm pretty sure I heard about an electronic adjustment for that on the 435 with some accessory or other. For the last generation of Arri film cameras, its called the 'Timing Shift Box'. 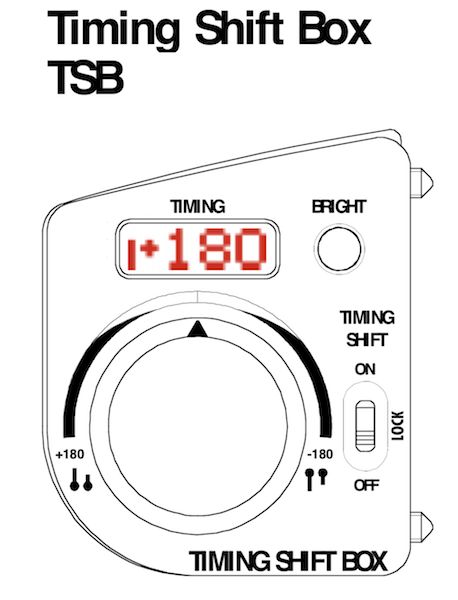 The Timing Shift Box adjusts the phase relationship of the mirror shutter to the movement. The result is that the film is exposed while being trans-ported, which creates a streaking effect. A unique feature of the Timing Shift Box is the Jitter function. It introduces a random fluctuation in the timing shift, resulting in a fluctuation of the length of the streak. Compatibility: This box attaches directly to the Studio camera or the Remote Control Station, and can be connected to the Studio or Lite camera with the MCB Cable Adapter and the Speed Control Box Remote Cable KC-65 (3m/9ft) or KC-69 (15m/45ft), with or without the 50m/150ft Cable Drum KC-73. It also works on the Arri 435 Advanced and 435 Extreme.